Gold is a majestic and luxurious color that is often used to symbolize wealth. Being able to pull off a gold wedding theme is not always easy. Gold is one of those colors that makes a huge statement, you must have a wedding ceremony and reception that is grand enough to make it worthy of this color. 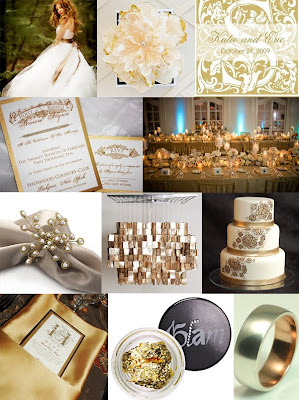 Gold is most often used in big fancy weddings with the reception held in a large ballroom. The color might be too commanding for a simple intimate wedding. You will find that gold is hard to pair with most other colors. Their best matches include white, ivory, pink and silver. All these lighter colors are the perfect complement to gold, because they do not overpower it. All of these color combinations are great for a wedding, because they convey a sense of elegance and sophistication. 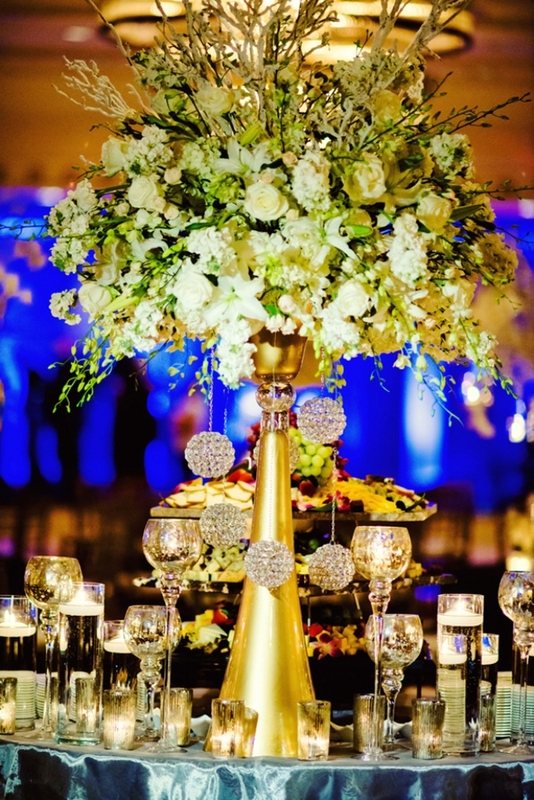 A gold wedding theme is nothing if not elegant and sophisticated. For the bride, gold is a simple color to incorporate into her wedding day look. There are pale gold wedding dresses available as an alternative to the traditional white wedding gown. However if the bride does not wish to break with tradition, she can easily wear some beautiful gold jewelry to go with her dress. Other than jewelry, she can also try gold hair accessories or a golden tiara. To top it all off, a pair of fancy golden sandals would look absolutely divine with her white wedding gown. A gold wedding theme is appropriate for almost any season. The key to having gold as your wedding theme is to not overdo it. Mix it with just the right amount of white or other complimentary colors. Obviously flowers do not come in gold, however adding a simple gold ribbon to the bridal bouquet or spraying a little gold paint to the edges of the floral arrangement centerpiece will do the trick. There are plenty of other unique ways to add more gold to the wedding. 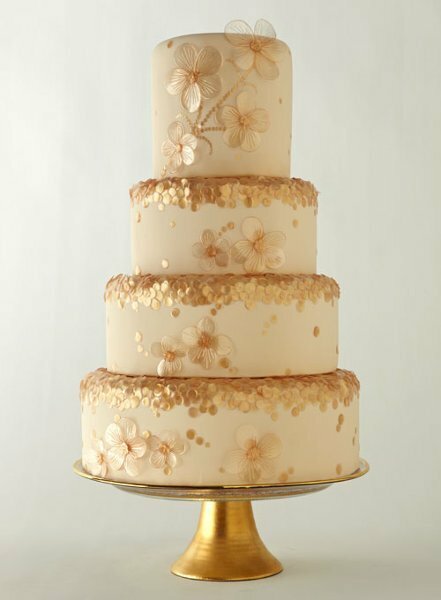 Gold trim can be applied to the edges of a white wedding cake or it can be sprinkled with edible gold sugar dust. If there is a way to use gold-plated flatware in place of silverware, that's another great option to use. Having your guests dine with golden forks and spoons will make the night extra special. There is no need spend a lot of money to make your wedding look extravagant with a gold wedding theme. In fact, the color itself makes a lot of things look more expensive than they actually are. For instance, having your wedding invitations printed in gold lettering will make it appear much fancier than if it were printed using any other color. Why not serve your guests wine in gold-rimmed glasses? They give the illusion of wealth of prosperity, but will not cost you any more than having wine served in regular wine glasses. Just remember with gold, you can make it look like you spent a million bucks without actually breaking the budget.